The Persona series has always held a special place in my heart. The first three entries released over the course of my adolescence; a tumultuous period during which my time was divided between parents who lived on opposite ends of an ocean. No matter where I was, I chased after unattainable acceptance as I grappled with teenage awkwardness, existential angst, and my own sexuality. Things were messy. When I immersed myself in "Lunarvale" or Sumaru, I took part in narratives that seemingly understood just how messy these years could be. It was as if the overarching theme of these titles was "There's no magic fix to your problems, but it's OK to be you." I was an adult by the time Persona 3 & 4 set the world ablaze. Both games were excellent: tightly-paced marriages of dating sims/visual novels with compelling RPG systems. Navigation, combat, and fusion were all at their most speedy and accessible, while individual characters had endearing personalities and lengthy story arcs over which to flourish. While I enjoyed both Persona 3 & 4, I couldn't help but feel that something had been lost. These protagonists were the most important people in their respective worlds; popular and charming saviors who served as all things to all people. They were too perfect. The aspects that resonated so loudly to me had been replaced with a recontextualisation of adolescence as fun and flirty escapism into an idyllic unreality. 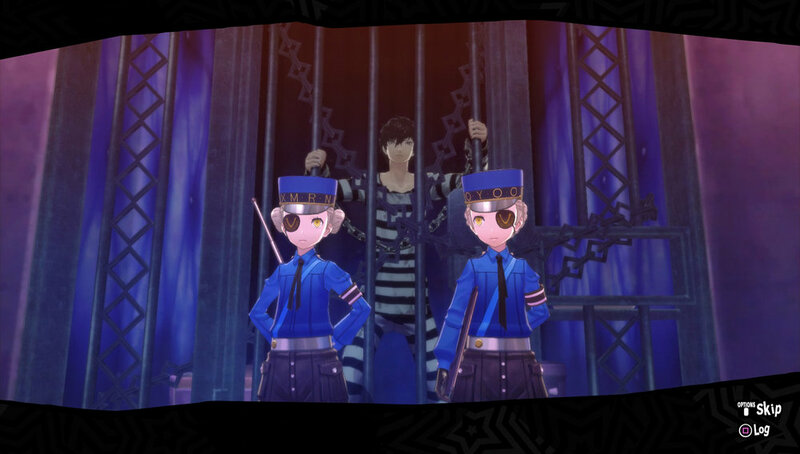 Now, a full eight years after Persona 4, Persona 5 has arrived to tell the story of a delinquent student's year under probation. Would this entry bring a little nuance back to this series? The answer is, no, not quite — though that doesn't mean Persona 5 isn't a great time.